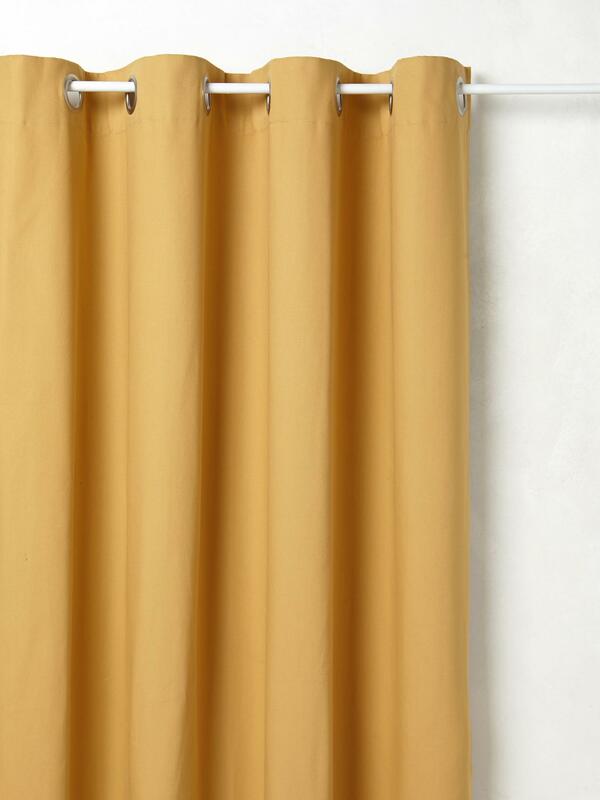 Curtain in thick pure cotton for a beautiful drape, available in a range of colours to match any decor. Colours withstand repeated washes and exposure to daylight. Try using in place of a closet door or to add interest to a bookcase. Steel eyelets in gunmetal grey or brushed silver. Width 140 cm. Eyelet header. Sold individually. New: See our tips on how to choose your curtains HERE.